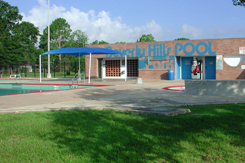 Beverly Hills Park is a 21.07-acre park facility in southeast Houston. It was acquired by the City in 1960, and is named for the subdivision next door. In order to better serve the neighborhood, the construction of a community center was begun in October 1969. The park was expanded when the Public Works Department closed and demolished its Beverly Hills Sewage Treatment Plant and the property was transferred to the Parks and Recreation Department in March 1977. Also that year, the Capital Improvements Program undertook the installation of a swimming pool complex at Beverly Hills Park. It was opened in 1979. 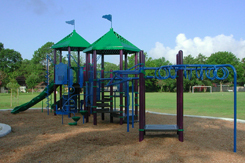 Throughout its existence, the park has benefited from the services of an active Park Advisory Council. 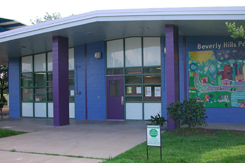 It has acted to promote development, fundraising, and community events, serving the neighborhood well. Beverly Hills Park is the center of life for the area’s residents. 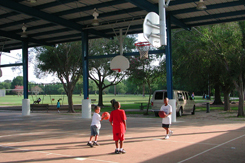 Besides the community center and swimming pool, it offers a tennis court, a multi-use pavilion, sports fields, a softball diamond, picnic areas, and a very fine playground.